According to New York Times’ report on November 1, 2012, a 27-year-old Internet Cafe Owner, Cao Haibo, was sentenced to 8-year imprisonment under the charge of “state subversion” on 31 of October 2012 in Kunming, Yunnan Province. 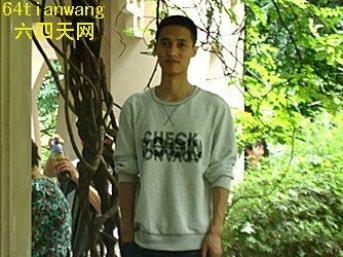 The latest development as reported by 64 Tianwang is that Cao lawyer Ma Xiaopeng has filed [zh] an appeal for the case on November 5, 2012. Cao Haibo advocated to give new meanings to Dr. Sun Yat-sen’s Three Principles of the People based on the current circumstances: the Principles of Nationalism, the Principles of Democracy and the Principles of People’s Livelihood. Cas was arrested on October 21, 2011, one month after he found the QQ chat group, and was initially charged for “inciting the subversion of state power”, which is a lighter charge, on November 25, 2011. Cao's wife, who was six-month pregnant was threatened not to disclose the case to the public. Cao was put on court one year later on November 1, 2012 under a more serious charge, “subversion of state power”, and sentenced to 8-year imprisonment. to sentence a dissident like Cao Haibo heavy-handedly on the eve of the Party’s National Congress is to declare to ‘the unstable elements of the society’ that, as always, the Party clamps down ruthlessly on any attempts, even if it’s merely virtual, of association or organization. More and more cases are indicating that stability maintenance in China is evolving into political terrorism.